This will be short. This book is terrible. The characters are not redeeming except for two of them (Maddy and Kerr) and if the book had stayed on just Maddy and Kerry I would have liked it more. Instead we have male characters calling female characters fat, ugly, and all kinds of crap. We get some ridiculousness when one character treats a woman separate from his girlfriend with respect (that is how you know he cares about her) and the constant bed hopping though people claimed to be in love with someone was it. 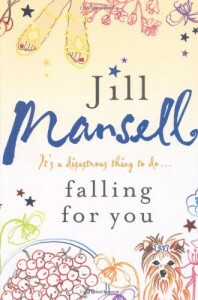 Usually Mansell can juggle multiple story-lines, she can't in this one. And I am realizing that most of her books follow the same formula and it's getting old. We usually get a woman who is in her 40s and widowed (Maddy's mother) a woman who can't seem to find a boyfriend or has a terrible one (Maddy's best friend) and then just random characters that flit in and out of the story. I didn't take any pleasure in the writing or flow since I just felt annoyed and wanted the book to get over with already. The ending was a big old shrug from me.